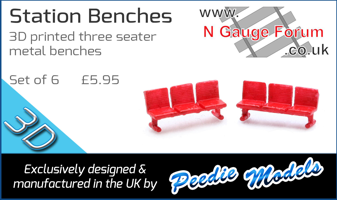 On ebay at the moment is N Gauge Spotters Guide, which shows all British N Gauge trains up to 2010. I don't own it, but thought others might be interested. I decided to buy one and it arrived today. It's a good little guide. However, I had it in my mind that each loco would be illustrated. Aye, so did I, until I saw the number of pages! Sorry if this has been posted before but I feel it's worth posting in case anyone is unaware of it. Quite right.....although the guide has all the Steam locos as well. I don't think this website has got that far yet.